On Thursday, Tilray (NASDAQ:TLRY) became the first U.S. initial public offering of a marijuana company. And the Tilray IPO is off to a good start. After initially projecting a range of $14-$16, TLRY was priced at $17. It closed above $22 on its first day of trading — and then skied another 32% on Friday, topping out above $31 before closing at $29.70. Friday’s close implies a market cap — based on a 91 million share count from the S-1/A — of over $2.7 billion. That’s a staggering figure in the context of the company’s current assets and current revenue. TLRY in fact trades at over 100x revenue. Whether that will matter — or when — is up for debate. 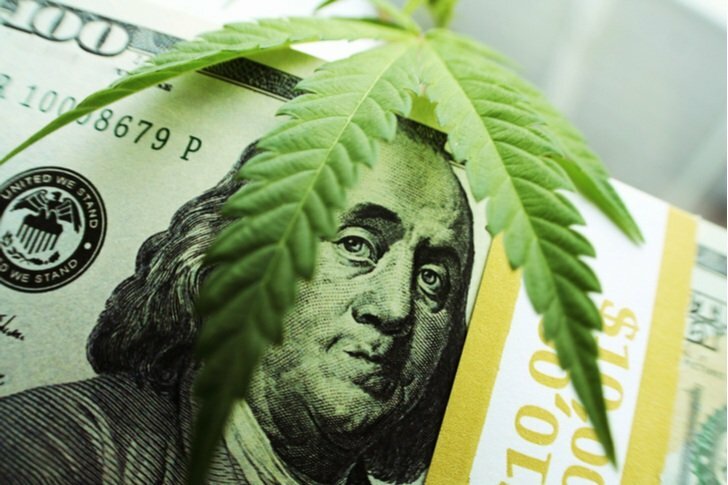 Obviously, investors see huge growth in the marijuana space. Tilary has international operations, an intriguing partnership on the medical side, and an adult-use license in Canada, which recently legalized recreational marijuana. TLRY bulls obviously see an enormous opportunity. And, at the moment, they’re happy to pay handsomely for it. That may change at some point — and in fact I’d anticipate that it will. But for the time being, there’s no reason the gains after the Tilray IPO have to end. Unlike some marijuana stocks that have taken advantage of the enthusiasm toward the market to raise capital, Tilray actually has an impressive, and thriving, business. The company grows and supplies cannabis to patients in 10 countries, among them Canada, Germany, Australia and South Africa. Tilray, according to its prospectus, was the first company to export marijuana from North America. Tilray also is going to be able to move into the recreational space “immediately,” per the prospectus. And that’s a big opportunity. Canada alone represents, by one estimate, a market capable of generating sales of $10-$20 billion annually. And Tilray seems to have a few first-mover advantages on both sides. On the pharmaceutical side, it already has a partnership with a division of drug giant Novartis (NYSE:NVS). It also has supply agreements with two large Canadian pharmacy chains, combined representing roughly 1,900 outlets. On the recreational side, Tilray already is producing in bulk. The company harvested 6,779 kilograms — 7.5 tons — of marijuana in 2017. It’s already grown over 50 different strains, and continues to apply past learnings to improve yields and product quality. Again, in a space that has seen more than a few dodgy stocks, this is a real business. It’s a business doing things the right way. And it has a massive market opportunity. But even accepting all that, a nearly $3 billion valuation looks awfully high. Is the Tilray IPO Already Overpriced? Over the last 12 months, Tilray has generated $23 million in revenue. That implies that TLRY stock now is valued at over 100x revenue. Similarly, book value pro forma for the IPO should be about about $150 million — suggesting a price-to-book multiple near 20x. TLRY bulls certainly can retort that those multiples aren’t outrageous in this market. Peer Canopy Growth (NYSE:CGC) trades at about 70x revenue. Many tech stocks trade at huge multiples to sales — even Netflix (NASDAQ:NFLX), which is a mature business, trades at about 13x revenue — and 35 times book value. But what would worry me about TLRY at this point, even granting an enormous market opportunity, is that it’s not a tech stock. At the end of the day, it’s a manufacturer. Gross margins are about 50% at the moment; they will likely rise over time as Tilray scales, but not the level of high-flying tech stocks. This is still a labor- and capital-intensive business — an “old-school” business model, so to speak, albeit one with a very modern addressable market. What does it take to support the current valuation? About $53 million of the Tilray IPO proceeds are going to be used to invest in production — even assuming return on capital of 100%, that supports maybe 2% of the current valuation. Revenue would have to rise by a factor of 10x for a lower-margin manufacturing business to still be valued at a whopping 10x revenue. Sales are growing nicely, but even at 2017’s growth rate of 62%, it takes many years for TLRY to grow into even the current valuation. To be sure, growth may accelerate, particularly if Tilray performs well in the newly legalized (and regulated) adult-use market. And as long as investors see a massive opportunity there, Tilray may be able to float above its valuation for some time. But marijuana stocks can pull back — and sharply — even amid the current optimism. Canada’s Hiku Brands (OTCMKTS:DJACF) traded above CA$4 on the Canadian Securities Exchange as recently as January. It’s selling itself to Canopy for less than CA$2 per share. For Tilray, there’s still regulatory uncertainty to navigate through. Lockup expirations can rattle a high-flying stock like this. I understand the optimism toward the space, particularly with Canada’s recreational market opportunity. And there is a business here worth buying — at the right price. Maybe I’m being too short-sighted, or too cautious, but I have a hard time believing that right price implies a valuation of nearly $3 billion. And I do believe, at some point, the market will see that as well. Article printed from InvestorPlace Media, https://investorplace.com/2018/07/tilrays-ipo-looks-badly-overpriced-and-it-might-not-matter/.